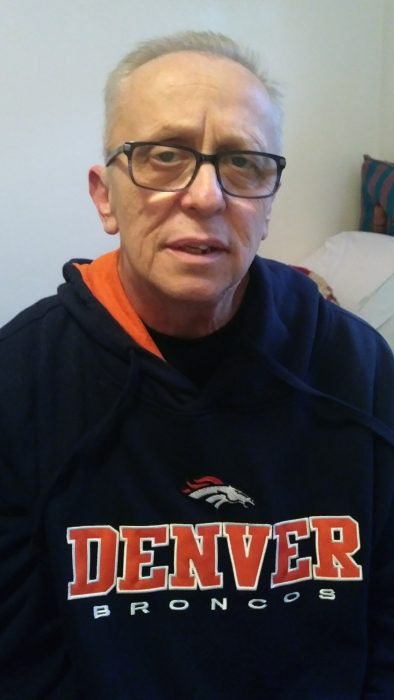 Frank Brozewicz, 61 of Russellton, West Deer Township, died Thursday June 14, 2018 at his home with his family by his side. He was born December 14, 1956 in New Kensington to the late Anthony and Helen (Tomanio) Brozewicz. Frank has lived in West Deer all of his life. He was a member of Transfiguration R.C, Church, Russellton. He graduated from Deer Lakes High School in 1976. Frank worked several places as a laborer including Etna Broom Shop 5 years, Action Industries, Harmar for 15 years, Risco Industries of Indiana Township for 6 years and ReCathco Manufacturing in Hampton, as a manufacturing technician for 6 years. Frank also was a member of the Owl’s Club in Russellton for 40 years where he served as the club Secretary for 18 years. He also volunteered with Big Brothers of Greater Pittsburgh. He enjoyed bowling and playing bingo. Survivors include his siblings Carol (Kirk) Griffith of Harrison Township, Janet (Bruce) White of West Deer, Anthony S. (Alica) Brozewicz of Bolivar, Rose Shaffer of Russellton, Michael (Sally) Brozewicz of Glipin Township and Donald R. (Rita) Brozewicz of Leechburg, 12 nieces and nephews and 12 great-nieces and nephews. Besides his parents he was preceded in death by a half-sister Della and two half-brothers Robert and Ronald.